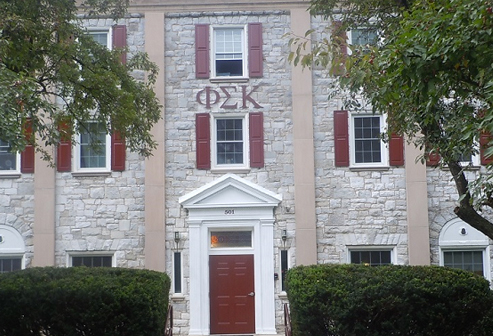 Kappa Chapter of Phi Sigma Kappa will celebrate its Founders Day in State College on Saturday, March 20, 2010. The chapter house will be the site of this year's activities to celebrate over 100 years of Brotherhood, Scholarship and Character within the fraternity. Plans have been made to enjoy a cocktail hour at 5:30 PM and then dinner at 6:30 PM. Also, new this year and the start of a tradition will be the announcement of brothers of the year for both the active chapter and alumni. In addition, brothers will be honored and plaques will be placed in the Chapter house identifying contributors to the "Reason To Be Proud" capital campaign.